1 year blogiversary + new look + giveaway! Hello! What do you think of the new look? Anyway, I'm still tweaking some things on here, but I was ready for a change. 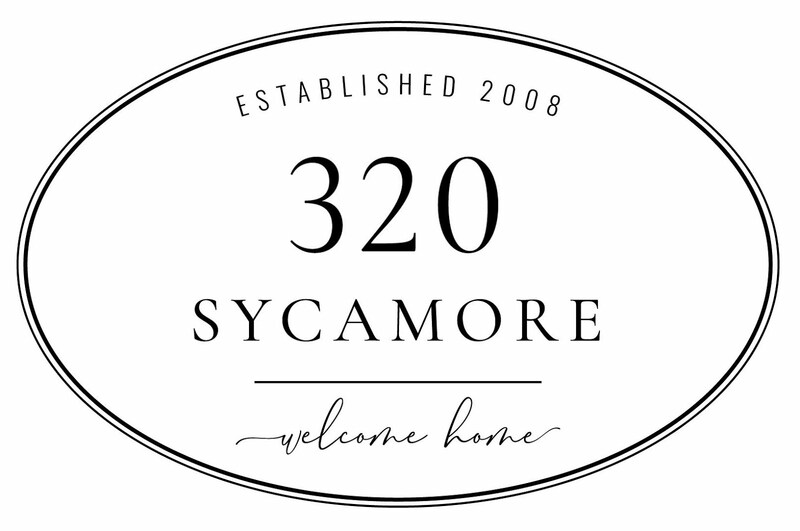 I really can't believe it's been 1 year since I decided to take our family blog private and begin 320 Sycamore for my love of home things. So, let's celebrate with a giveaway, shall we? This is my bible when I have a stain, or don't know how to clean something. She has hundreds of tips and shows how to clean with baking soda, vinegar, lemon juice, etc. even before it was cool to clean with natural products. So, there you go~just leave me a comment to be entered. If you are a subscriber or follower, let me know in an additional comment to be entered again. You can ask me a question about myself if you're dying to know something, or tell me what you would like to see more of, or less of on the blog, or tell me your favorite joke~my kids love new ones. A man gets out of jail and runs around yelling, "I'm free, I'm free, I'm free!" I stumbled upon your blog 2 weeks ago and have stalked back through all of your posts. I love your laundry room makeover and your organizing ideas. So far, you've inspired me to organize my coat closet, and my "junk cabinet"! I never would have thought it'd be fun, but it was! Congratulations on your two year blogiversary! Happy bloggaversary! These are awesome gifts. I love the things that you have collected and are giving away! Congrats on your anniversary. Your blog (and house) is so adorable. Amanda fix the broken doorbell! Love your blog,me to win!! BTW, I am a follower. Maybe a bad one since I do more lurking than commenting, but I never miss a post! I love your blog! I'd love to see anything about how you manage your home, your organizational secrets, your time-management secrets, anything that you feel is crucial to running your home successfully! LOVE your new look Melissa!! Too cute!! Yay for your blogiversary! I love your blog. You're one of my daily reads. Sometimes after reading I feel like a total slacker tho! Ha! So, how does a monster count to twelve? . . . . . . with his fingers! (ba dum bump ch!) Seriously, I love your blog! Great giveaway, congrats on a year of blogging. Congratulations on your first year! I just started following, but really love the blog. Here's hoping that the next year is just as great. I am a follower who loves your blog, and now your new layout too. Its calming and simple! great treasures and a gift card... woop woop. Enter me! P.S. i CLICKED on your christmas button and was drooling at your fab decor, ideas, and touches. I will try o re-create some! thanks for sharing! Congratulations on a year! Amazing job! I love coming here and being inspired. I also love that basket! I've been looking for one but alas haven't found one! Anywho, great job and I look forward to another year of inspiration! I love your blog. You constantly amaze me with all that you do! And I'm a follower. How could I not follow your fabulousness? LOVE your stuff! We just redid our bathroom, the shower goes back in on Wednesday, it's been 3 months since we started! We are so excited. I've loved looking at your blog for decorating ideas, I'm definitely going to use a few! "What do you do if you get eaten by an elephant? Keep jumping up and down until you get pooped out!" Hahaha. Gets me every time. That one is courtesy of my nephew Eddie. Oh yeah, I'm a follwer too!! And have been for awhile now. Congrats on one year! Love the new look. Here's a dumb joke told to me by my 3 year old: What do you call a cow eating grass? A lawn moo-er! I'm also a follower and Happy blogiversary! I have been a follower/stalker for some time now! I absolutely love your blog and look forward to your posts! Congrats on your blogaversary! Keep up the posts, I love them all! Congrats on one year! Happy Blogiversary! Love your blog and new look. Congratulations! i used to read your blog before it was private. Then, when you went private I missed your new address. thankfully, I found you again. Love your blog! I love coming to your blog daily & seeing what you have going on...the laundry room is great!!! Congrats! Thank you for sharing your ideas with us! Oh, I'm a subscriber, too! Thank you so much for your blog. I enjoy your updates each day. loving your new blog look! what a great giveaway too! I love following your blog & I love your new look! Happy 1 year bloggy b-day! I'm a follower and love all of your great ideas. Thanks for sharing your talents! Oh - and I'm a faithful follower of your blog! Love the new look. Happy blogiversary!! And I'm a follower from way back! I loveeeee the new look! What an awesome giveaway! Oh I am also a subscriber and a follower! 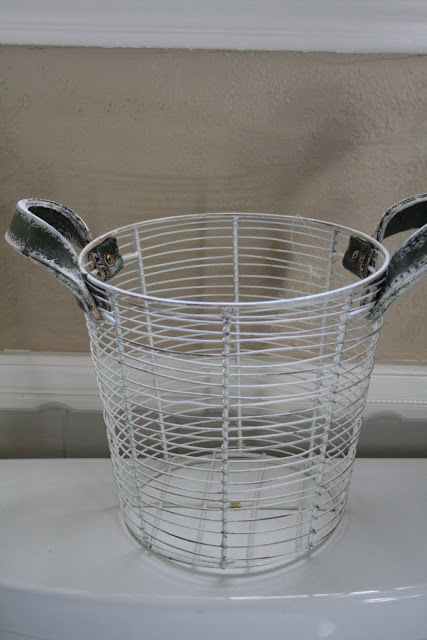 That wire basket with the leather handles has about eleventy million uses in my house already. Love the blog... haapy blogiversary! congrats and best wishes for the next year of blogging! your makeover looks very nice by the way. Happy Blogiversary! And I love the new look! Great Giveaway! For me personally I love before and afters of spaces and I know that's a hard one to post more about it because obviously you are not renovating all the time, but I would love to see more of those :) You are so talented and you make your spaces just beautiful! follower, and happier because of it! Congrats on your anniversary ! Your blog looks great ! I hope your kids are feeling better! Love the new look - very clean and classic! Fun giveaway! I've heard Qu of Cl on the radio before. Love your blog and thought of you two days ago when I was shopping garage sales! pS I'm a subscriber. Congratulations on one year! I really enjoy your blog and I think your new look is very "warm" (if that makes sense!). I don't have a funny joke, but I would love to be entered for your giveaways! Your blog is the bomb diggity!! Congrats on the 1 year. I have followed your blog for a few months now and cannot get enough. You are so creative with things you find at yard sales and I love your makeovers. Thanks for the daily inspiration. 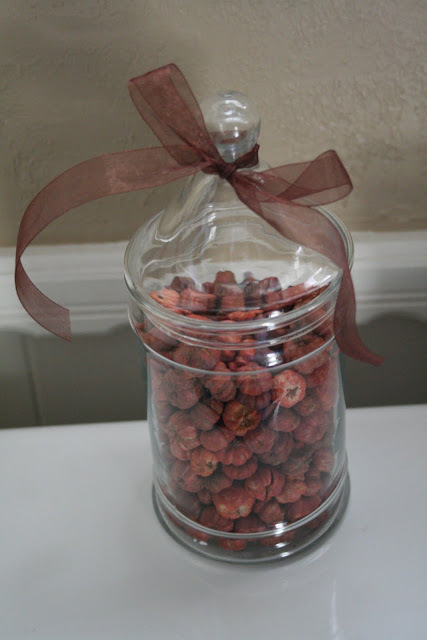 I really enjoy your blog and love the way you share your great decorating ideas. What a great title too! Naturally, I love a giveaway but I'd read your blog if you never had one. Tell us more about yourself! Congratulations! I've enjoyed reading your blog for about two months or so . . . I've been a follower for a month or so I think. Loving your blog and your ideas!!! Oh, and I'm a subscriber too, via Google Reader. Love your blog! Congrats on the year :) It's such and adorable giveaway, and I'm also a follower! Great giveaway!! Congrats on 1 year!! I am a secret stalker of your blog. I love all of your ideas! Thanks so much for doing the drawing! Happy Anniversary! I am a follower and would love to be entered in the giveaway!! Happy Blogversary....I have really enjoyed reading (and stalking) your blog....I look forward to another year!!!!! Just leaving a second comment to let you know that I'm a subscriber! What is the difference between bird flu and swine flu? One requires tweetment and the other requires oinkment. :o) ha ha ha ! Please enter me...Love the filler, thought I have not seen them around. Where do you get them at? Congrats on your Anniversary! New blog looks great! Thanks for the chance to win these goodies!! Congrats on you blogoversary! I love all of your ideas! Happy Blogversary! That is so exciting! I just love your blog Melissa! Hello, I hope I win, ihope,ihope,ihope. Oh yes, and I'm a follower of your blog too. cool-ness...i love your style and your blog...the new look is great and congrats on a year. =) Thanks for the contest! I'm a subscriber and follower too! Love the new look girlie! You make me want to change up mine. lovely, lovely, lovely new do!! Love your blog! You have inspired me to paint all my bedroom furniture after Christmas! Wish me luck! I love your new look. What a great giveaway. Count me in. stephaa (at) hotmail (dot) com. Congrats on your anniversary. I wish I knew how to pretty up my new blog. Yours looks great. I like your blog just the way it is. I wouldn't change a thing. Love the new look... especially the banner. I'm a faithful follower! I would love the goodies instead of the gift card, ya know in case I win. I never do, but just in case! I'm having a horrible day and winning would make me oh so happy! Happy blogiversary Melissa!!! I do like the new look of your blog!!! and great items in your giveaway! I LOVE LOVE LOVE reading your blog. You always have the best ideas!! I REALLY REALLY want some of those tiny pumpkins. I have looked EVERYWHERE but I cannot find them. :( I even checked eBay~hehehe! Thanks for the inspiration!! I love your blog!! Anyways I don't know what I'd like to see more but I LOVE that you tell your paint colors you use because I'm horrible at choosing. thanks for the giveaway! Melissa, I found your blog while just stumbling around, and couldn't believe it was you when I saw it! (it reminded me of when we were in our Married Student Ward, and you telling about your yard sale finds or DI finds at Relief Society Meetings!) It is good to hear that you and your family are doing well! I wish you the best! Love the new look!! Congrats on 1 year!! What a nice give away!!! Count me in. I'd love to win, and I really love those prizes too, but really I'd love to win your help on a room in my house! That wouldn't cost you anything =) So if you go out on a whim and decide to have a 3rd prize...well you know my vote! I love your design ideas and pretty much would give anything to have you come organize for me. Congrats on your success. Yay! Congrats on a whole year! Thanks for sharing all your great ideas! Melissa! I thought I got the wrong blog at first - I love the new look. You've done a wonderful job this whole year and have definitely given me more inspiration! :) Happy Anniversary! 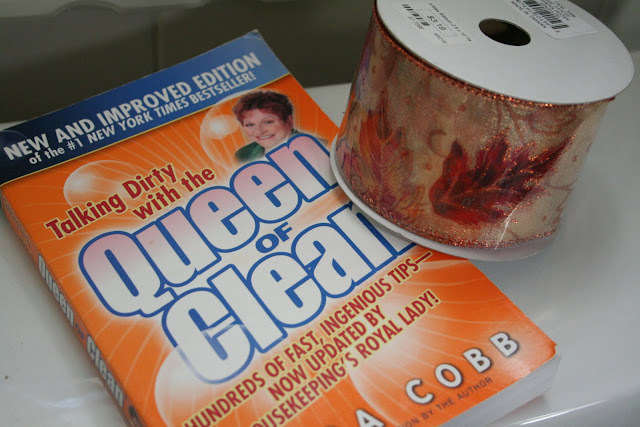 And you KNOW I'm a follower - I want that cleaning book! Love your new look, and I love your blog. Would love to win anything you have listed! How generous. I have been a follower for several months now!!! I love reading about your projects!!!! Thanks so much for all the inspiration !! I love the new look! 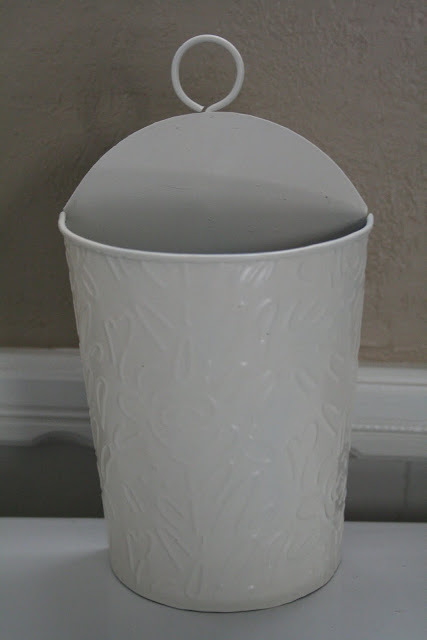 Yours was the first craft/home blog I discovered a few months ago and I love it -especially your yard sale makeovers. What inspiration! :) Thanks for the great giveaways! just found your blog - love the tips. congrats! 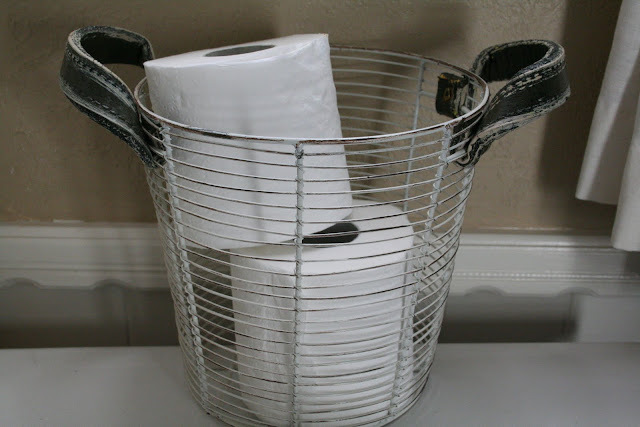 What is your most favorite "DIY" project? Hmmmm, a joke? How bout elephant jokes? How does an elephant hide in a bag of M & M's? He paints his toenails different colors. What did the cat say to the elephant? How do you stop a charging elephant? Take away its credit cards. What do elephants do for laughs? I love your blog! Congrats on the one year! I'd LOVE to win any of your giveaways. I wont lie...I kinda love the basket full of goodies, but the 25 dollar gift card could SO come in handy! ooh, pick me! I've been stalking, er, um, reading your blog for a few months now and LOVE all your ideas! Thanks for sharing your ideas, time, and home with us! P.S. You're on my google reader! The first one on my list! I love the new look! What a great way to spend some 'down' time in the evening. I'm sure it was the wind. But spray paint is awfully tempting. I've been a follower for some time too. I love your blog and am a fellow Texan to boot. Thanks for sharing your ideas and finds with us. My son told us this when he was four and he is now ten and it is still funny when he tells it! I like the new look. Congrats on one year! I'm a follower of your blog. I like your posts. Congratulations on your one year anniversary. I have been following you for over a year, and I love to see the new ideas and try some myself. I do have one question for you...How in the world do you find time with 5 children? You are superwoman right :). Keep up the good working and thank you for all of the beautiful inspirations. PS. I've been a follower from nearly day one. I don't even recall how I stumbled upon you, but it was a HAPPY stumbling. Thanks for letting me come along for the ride. ...and I'm a follower and have you on my sidebar under "inspiring people"! What a fun giveaway. Thanks for the chance to win :). LOVE the new look! Congratulations on your blogiversary! Thank you for sharing with us all of your wonderful posts!! I am a new follower and love your creative ideas!!!! Your blog is one of my favorites that I look forward to reading. I know you will always have a idea that is practical and cute. I love your blog!! You give me the confidence to try making things new again and I love what you do!!! I have been following your blog ever since we came over to your house last year to watch the BYU-Utah game. Great times! I love your blog. Congratulations on 1 year. What a great give away...such cute stuff!! Happy 1 year anniversary! A cute joke: I taught my pig karate now he's doing pork chops. I want your laundry room! Happy Anniversary, and I like the new look. Like the new blog look. Congrats on a year with this blog. I have gotten so many ideas from you!! I can't remember how I got to your blog, but I am a follower now and I love the ideas you share for making your house look beautiful for very little $$. I'm a somewhat recent follower and have always loved your blog, and now the makeover is great! Love your new blog look! I always hate it when my husband goes on trips and I am alone. I usually read a book or two way into the night then. Q: What did the blonde say when she looked inside the box of Cheerios? Great new look! I enjoy reading your blog! Love your great tips on everything lovely! Please enter me too. Thanks! Great job on your blog makeover. I really like your new header a lot! Fun giveaway. I have been wanting some of those little tiny pumpkins but didn't know where to get them. 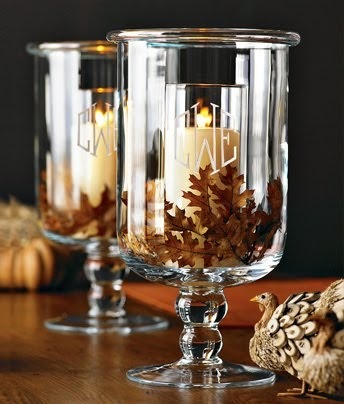 And I have had my eye on some things at TjMaxx so I would love to win a gift card from there. Love your blog and became a follower! Congrats on one year! and i do like the new look. fun giveaway! I just found your blog in the past couple of weeks. I love, love, love it. So many clever ideas. Gotta go, I'm going to clean my windows. Your recent post inspired me. Happy Blogiversary..love your blog, thanks for doing a giveaway! Very pretty. I like the new design! Congrats on the blogerversary and the new look. Everytime I see one of them bend in looking cans I kick myself. I ran across one about a month ago at a yard sale could have bought it for less than a dollar and didn't do it. Because I couldn't think of what I could do with it. Happy blogivesary! :) I love your blog. You always give me great ideas - thanks! Congratulations, Melissa! I love the new look. I'm so glad that noise was the wind and not a spray paint bandit. I'd love to win one of your giveaways! I LOVE your blog. You have inspired so many of the makeovers in my house and you always have such great ideas and information. Thank you for sharing all that you do! I love your blog, I started reading it about a month ago. It caught my attention because it mentioned Marti, I am from Lubbock and I recognized her house. I love reading all your ideas. I don't know how you do all you do. Congrats on your first year anniversary! I love your new look! I always like seeing what you're up too! O.K. My question is- If you had one day to spend at home, with no distractions, what would you do? I love your joke, I'll share it with my kido's when they get home from school. Love the new look! And your blog! Your new look is great! I love it! And I have loved your blog from pretty much the beginning. Thanks for all your inspiration! 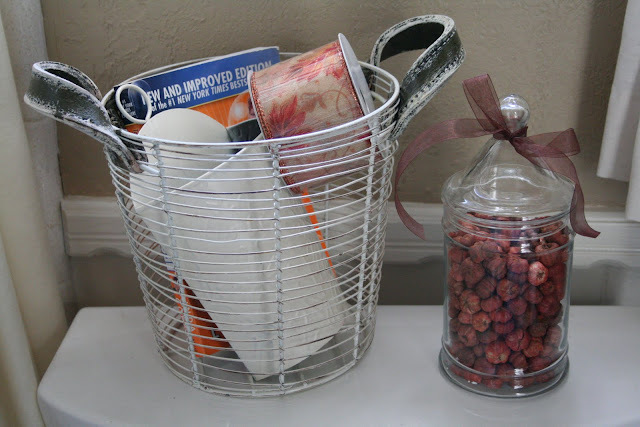 LOVE your blog and have used some of your ideas in my home!! Love it!! I also am a follower. I just "entered the blog world" a few months ago and I am addicted! I follow most of the thrifty decorating blogs and I love yours! Hoping to start one of my own! What did one miniature pony say to the other miniature pony? I can't talk right now, I'm a little horse! How delightful your blog is...1st time visitor...jumped from "Etiquette with Miss Janice". I love your blog. I found it about 2 months ago and have checked in just about every day since. Your ideas are very inspiring. Thanks for all the work you put in!